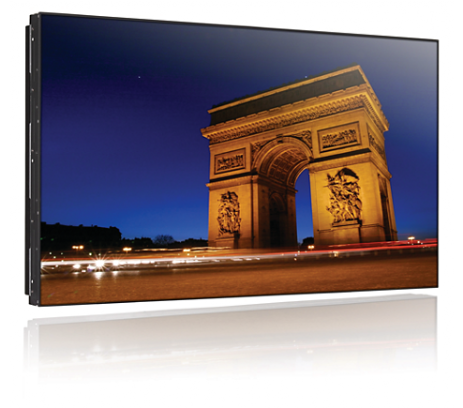 Immersive visual experience with Ultra-Narrow BezelImmersive visual experience with Ultra-Narrow Bezel The next generation of video wall displays is designed with the industry's narrowest bezels and advanced alignment solutions. Fully exploit your impactful signage content with ultra-narrow bezel displays, and make sure your message does not get lost in thick bezels. 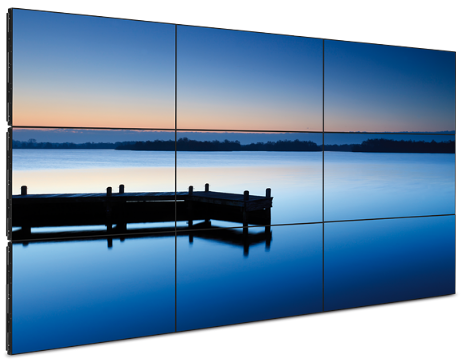 With the ultra-narrow bezels you can create seamless video wall configurations of virtually any size. Full HD LED technology for brilliant imagesWhite LED's are solid state devices which light up to full, consistent brightness faster saving startup time. LED's are free from mercury content, which allows for eco-friendly recycling and disposal process. LED's allow for better dimming control of the LCD backlight, resulting in a super high contrast ratio. It also gives superior colour reproduction thanks to consistent brightness across the screen. 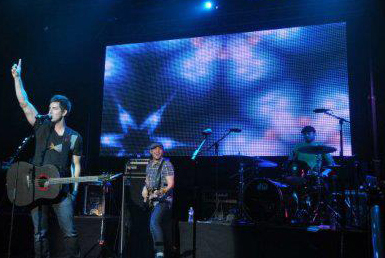 Each of our LED display design builds are customized to serve the unique needs of each client we work with. No matter the size or scale of your project, New Day works with clients to develop LED display technology solutions in almost any configuration, shape, curve, or size to create a revenue-turning customer experience. We work seamlessly with engineers, designers, and architects, and A/V integrators already on the job to ensure quick, trouble-free installation.